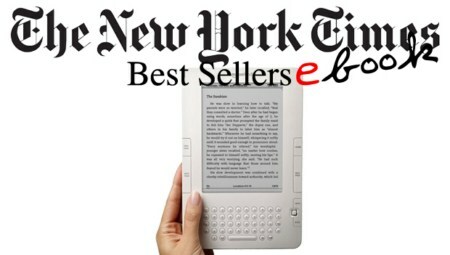 New York Times Best Collection - 06 April 2014 | Free eBooks Download - EBOOKEE! Posted on 2014-04-19, by pherick. Weekly List Of Updated ebooks large Collections Including Both Fiction and Non-Fiction. 1. MISSING YOU, by Harlan Coben. 2. THE FIXED TRILOGY, by Laurelin Paige. 4. MAYBE SOMEDAY, by Colleen Hoover. 5. THE HUSBAND'S SECRET, by Liane Moriarty. 6. BEAUTIFUL RUINS, by Jess Walter. 7. THE INVENTION OF WINGS, by Sue Monk Kidd. 9. POWER PLAY, by Danielle Steel. 10. RAISING STEAM, by Terry Pratchett. 11. SYCAMORE ROW, by John Grisham. 12. BE CAREFUL WHAT YOU WISH FOR, by Jeffrey Archer. 13. THE CAIRO AFFAIR, by Olen Steinhauer. 14. YOU SHOULD HAVE KNOWN, by Jean Hanff Korelitz. 15. LITTLE GIRL LOST, by Brian McGilloway. 16. THE AUSCHWITZ ESCAPE, by Joel C. Rosenberg. 17. FERAL HEAT, by Jennifer Ashley. 18. BULLSEYE, by David Baldacci. 19. NIGHT BROKEN, by Patricia Briggs. 20. THE BOOTLEGGER, by Clive Cussler and Justin Scott. 21. PRIVATE L.A., by James Patterson and Mark Sullivan. 22. STONE COLD, by C. J. Box. 23. THE CHASE, by Janet Evanovich and Lee Goldberg. 24. BLACK BOX, by Cassia Leo. 25. WORDS OF RADIANCE, by Brandon Sanderson. 1.TWELVE YEARS A SLAVE, by Solomon Northup. 2.10% HAPPIER, by Dan Harris. 3.UGANDA BE KIDDING ME, by Chelsea Handler. 4.LONE SURVIVOR, by Marcus Luttrell and Patrick Robinson. 5.THE MONUMENTS MEN, by Robert M. Edsel with Bret Witter. 6.HEAVEN IS FOR REAL, by Todd Burpo with Lynn Vincent. 8.KILLING JESUS, by Bill O'Reilly and Martin Dugard. 9.NOT COOL, by Greg Gutfeld. 10.THE NAZI OFFICER'S WIFE, by Edith H. Beer. 11.THE PROMISE OF A PENCIL, by Adam Braun with Carlye Adler. 12.LEAN IN, by Sheryl Sandberg with Nell Scovell. 13.THE STORY OF THE JEWS, by Simon Schama. 14.DAVID AND GOLIATH, by Malcolm Gladwell. 15.THE PRINCESS TRILOGY, by Jean Sasson. 17.PROOF OF HEAVEN, by Eben Alexander. 18.THE FUTURE OF THE MIND, by Michio Kaku. 20.THINGS THAT MATTER, by Charles Krauthammer. 21.CALL THE MIDWIFE: FAREWELL TO THE EAST END, by Jennifer Worth . 22.THE BOYS IN THE BOAT, by Daniel James Brown. 23.THINKING, FAST AND SLOW, by Daniel Kahneman. 24.SHADOWS OF THE WORKHOUSE, by Jennifer Worth . 25.ORANGE IS THE NEW BLACK, by Piper Kerman. No comments for "New York Times Best Collection - 06 April 2014".